fast, free and friendly London venue finding service. Thank you for finding this great venue and on the date we needed it to be. Our CEO who commented it was the best Christmas party he had hosted in over 10 years. High praise indeed! Relax and celebrate your fabulous new venue find! Venue Search London is a free venue finder for conference, party and event venues in London. Unlike many other venue finding agencies, our experienced team are based in Central London and spend many hours visiting the hundreds of venues for hire in London. SAVE TIME – With over 1,000 venues for hire in London, we will deliver the best shortlist to your inbox within hours of your venue finding enquiry, saving you hours on the internet or telephone. SAVE MONEY - Not only is our London venue finder service free, but we can also negotiate some great prices and packages for your next London conference, party or event. Whilst there are many free venue finding agencies in the UK, we specialise in venues for hire within the M25, giving us the very best listings of event venues in London. 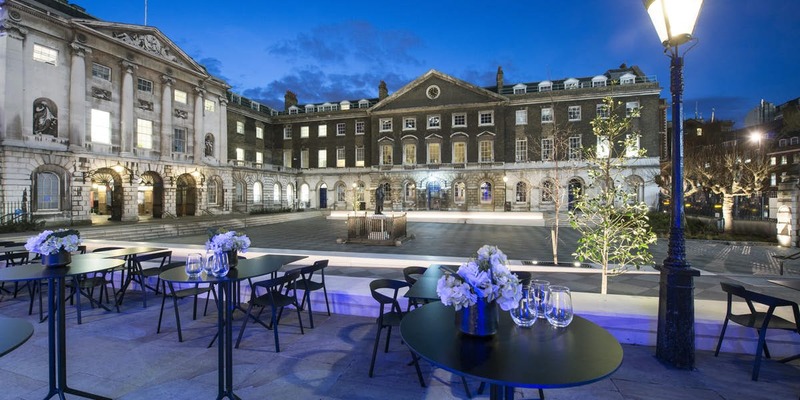 When starting your venue search, London offers literally thousands of great spaces for hire, so it's important to give yourself plenty of time to visit up to five or six of the most suitable venues and we will be with you all the way to show you round and discuss the pros and cons of each, based our many years of venue finding experience. The best way to start is to complete the quick venue search form above which will give us some ideas of the best Central London venues based on your numbers and event style. Alternatively, why not call our London venue finder team on 0207 870 9305 or drop us an email and leave us to do the searching for you! Thanks so much for all your hard work - the party was a fantastic success and everyone had a great time. Just wanted to say a huge ‘thank you’ for placing us with Hilton London Bankside. I have nothing but great things to say about the team there. It was an excellent Christmas party last night. The venue was absolutely ideal for our needs and many thanks for suggesting it. It was an absolutely fantastic night – nothing but great feedback from all that attended! Let our experts do it for you. Take advantage of our knowledge for free, with no stress and no need to spend hours hunting for venues yourself on the Internet or telephone. Not only is our service free to you, but we can also negotiate some great prices and packages for your next conference, party or event owing to our fantastic venue relationships. Keep up-to-date with the latest London venue news.